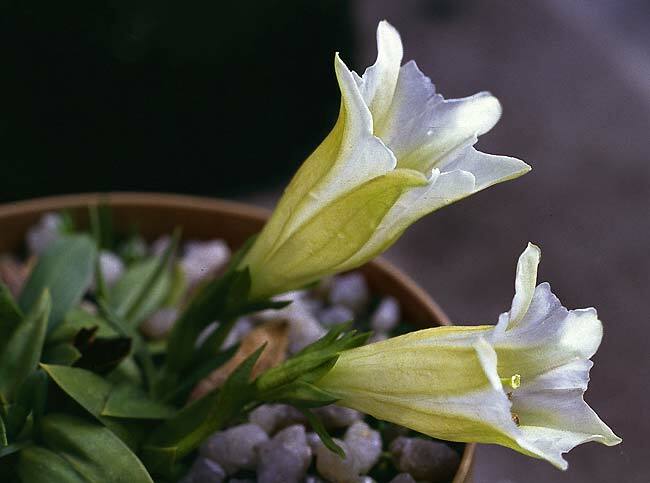 Gentiana clusii forma alba – This species is one of the G. acaulis group and similar. Calyx lobes long-pointed-straight, more or less parallel with the corolla tube. This is a lovely white-flowered form. I have not found it too easy in my garden.